Do your monthly contact lenses cause discomfort? 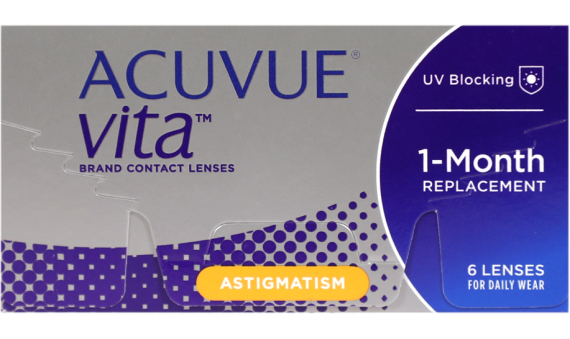 ACUVUE® VITA for ASTIGMATISM offers exceptional, consistent comfort and vision all month long - putting the discomfort of wearing contact lenses behind you. That’s because HydraMax™ Technology helps maximize and maintain hydration in these contact lens, providing lasting comfort all month long. 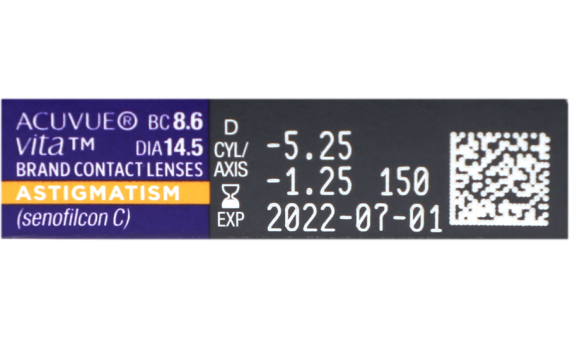 Designed for astigmatism, these contact lenses feature Eyelid Stabilized Design to help keep the lens in the correct position, helping you enjoy clear, consistent, stable vision all day long. Plus, they offer the highest level of UV protection in the industry. Go all month long with contacts designed for month-long comfort with ACUVUE® VITA Brand Contact Lenses for ASTIGMATISM.